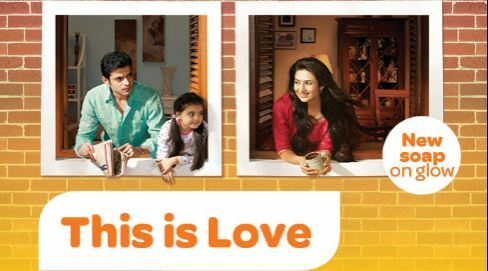 This is Love teasers March 2019 – Upcoming Glow TV, drama series ‘This is Love’ teasers, previews, updates, episodes, highlights and spoilers for March 2019. Arnav feels guilty for being rude to Khushi. Shyam is angry for the delay in his engagement with Khushi. In a fit of rage, he puts Shashi's life in danger, giving him the wrong medicine. Arnav insults Khushi when he sees her in his home once again. Meanwhile, Anjali informs Shyam about wanting to invite Khsuhi for Arnav's engagement. How will Shyam feel about this? Manorama asks Khushi to leave the Razaida home once Lavanya has learnt how to handle all the household chores. Arnav finds an old note written by Khushi. Akash surprises Payal with a gift whilst asking her to marry him. Will she say yes? Arnav finds Khushi's ring at the pool. Meanwhile, Madhumati wants Khushi to look for what she has lost. Arnav wants Khushi to apologize if she wants her ring back. She obliges and tells him about her engagement. Arnav takes out his frustration by hurting himself. Will he allow Khushi to clean his wound? Arnav suspects that Khushi has been forced into her engagement. Khushi informs Arnav that she is not interested in his engagement. Meanwhile, Khushi also grows suspicious of Shyam's character. While Anjali and Lavanya shop for jewelry, Arnav tries to humiliate Khushi by gifting her favourite necklace to Lavanya. Anjali is shocked to find out that Shyam has been lying about his ring. What is she about to find out? Akash wants Payal to meet him for one last time. Will he manage to convince her to marry him? Destiny brings Arnav and Khushi together, at the same restaurant that Payal and Akash meet at. Will they catch each other out? Khushi and Arnav both witness as Akash proposes to Payal. Will they stop them? It seems as though Arnav and Khushi are going to make Payal and Akash get their relationship back on track. Khushi assures Payal that Arnav will convince his parents. How will Manorama feel about the marriage? Manorama threatens to leave the Razaida home. Will Arnav manage to make her stay and accept Akash's beautiful lady? Both families happily give their consent to the wedding. Shashi is introduced to the Razaida family but panics when he meets Anjali. Shashi tries his best to tell Anjali the truth about Shyam. Meanwhile, Arnav's temper causes Khushi to puncture his car tyres. Shashi's feeble attempts to expose Shyam raise Khushi's suspicions about him. Meanwhile, Khushi tries to expose Shyam at the family prayer. Anjali gets worried when Shyam is absent from the prayer. Meanwhile, Khushi breaks down and turns to Arnav for comfort. Will she tell Arnaz the truth about Shyam? Khushi is about to warn Shyam to stay away from her and her family. Will Shyam manage to change his fraudulent ways and stay faithful to his real wife? Khushi is uncertain with regard to dealing with Shyam's situation whilst Madhumati curses Shyam for playing with her emotions. Arnav gets ready to officially break up with Lavanya. How will she react to this? Khushi informs her family that she hasn't revealed the truth about Shyam to the Razaida family. Nani introduces Shyam to Khushi's family. Meanwhile, Arnav feels bad for breaking Lavanya's heart. Payal and Akash get engaged in a grand function. Meanwhile, Arnav is about to make a big announcement to his family. It seems as though everyone at the Razaida house are having a tough time accepting Arnav's decision and refuse to let Lavanya leave the house. Khushi is seen imitating Akash in the bathroom. Meanwhile, Anjali supports her brother with his breakup. Shyam tells Khushi that Anjali is ill-treating him. Meanwhile, Manorama gets excited to welcome a very special guest. Arnav wants to host a cocktail party for Akash and Payal whilst Khushi and Nanda Kishore wish to have indian entertainment. Khushi gets upset when Arnav refuses to get desi entertainment. Meanwhile, it seems as though Khushi might not make the cocktail party when she sprains her ankle. Khushi and Nanda Kishore come to the rescue at Arnav's boring cocktail party. Both families prepare for the Sangeet function. Meanwhile, Arnav is put in a position to dance with Khushi. Shyam tries to brainwash Khushi and turn her against Anjali. Meanwhile, Khushi uses Nanda Kishore to irritate Arnav. Shyam plans on earning Khushi's trust. Madhumati asks Khushi to wear her old wedding dress on the wedding day. Meanwhile, Arnav finds Nanda Kishore chatting over the phone to Khushi. Khushi vows to not see Arnav's face at midnight because of Nanda Kishore's romantic belief but it seems as though fate might just bring them together. It's about to get intense when Shyam plans to kill Anjali by electrocuting her, he brings her to the edge of the pool to push her in to the water. Arnav comes to Akash's rescue when he gets stuck to a chair while trying to hide from Madhumati.